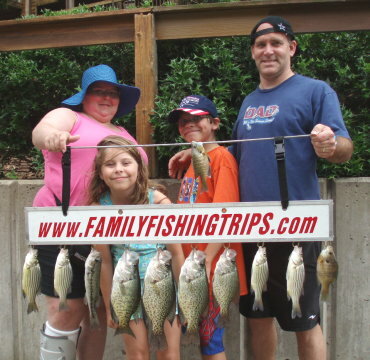 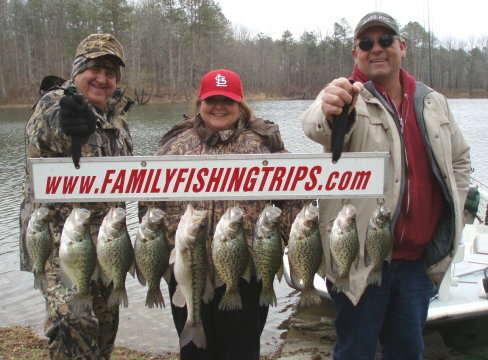 Black and White Crappie up to 14"
"The trophy has been busy in Arkansas catching monster slabs!!!" 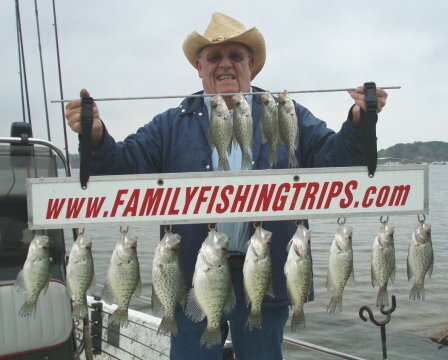 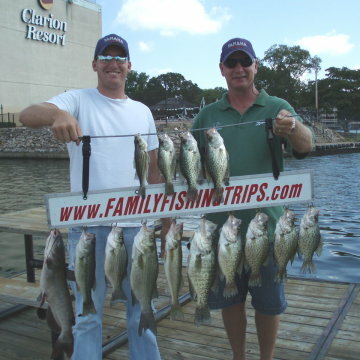 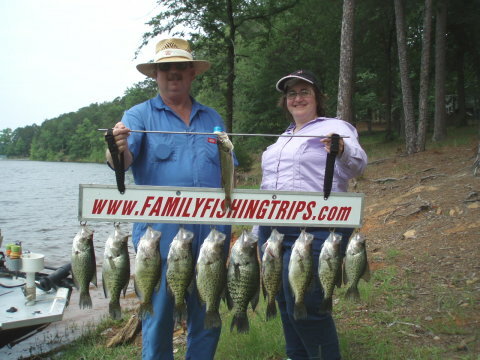 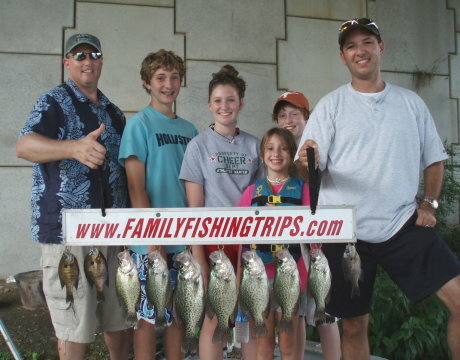 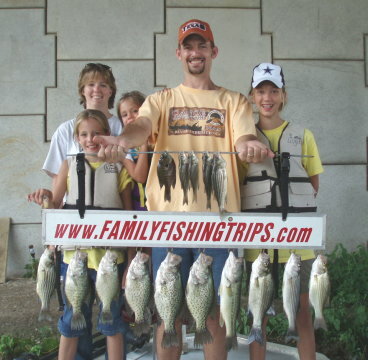 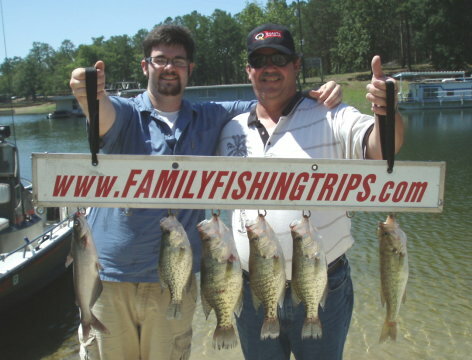 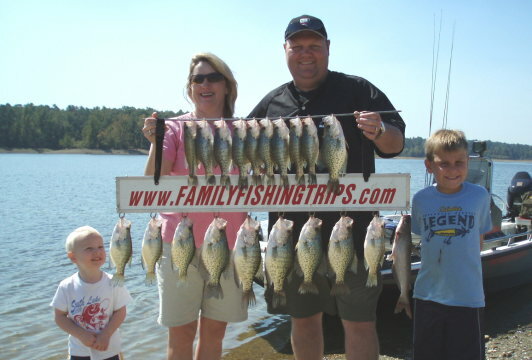 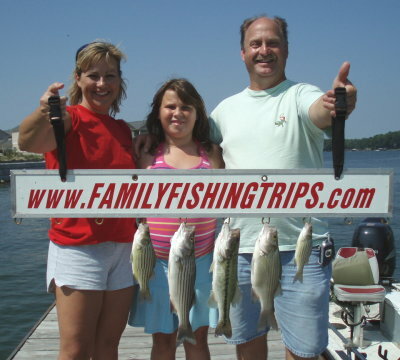 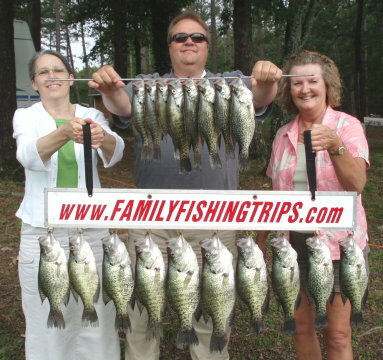 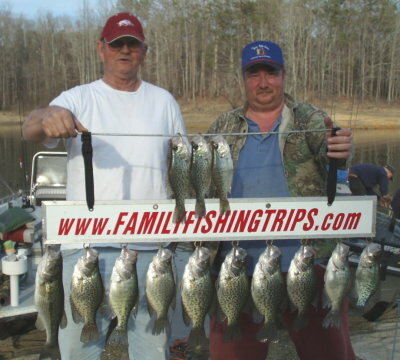 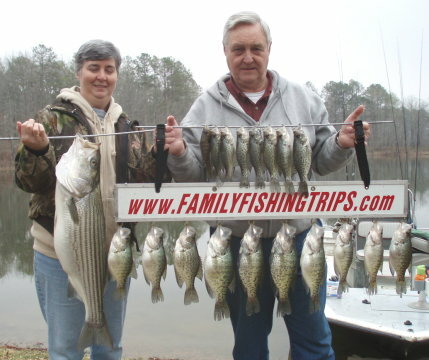 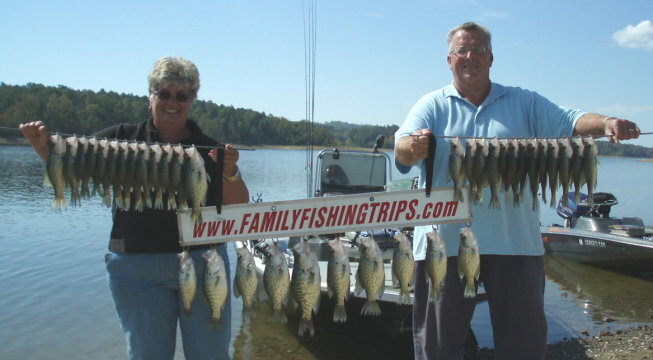 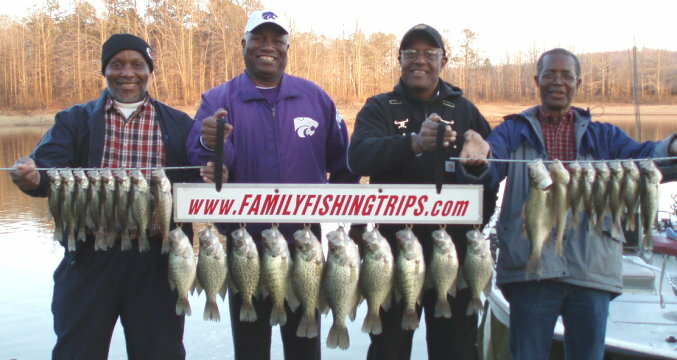 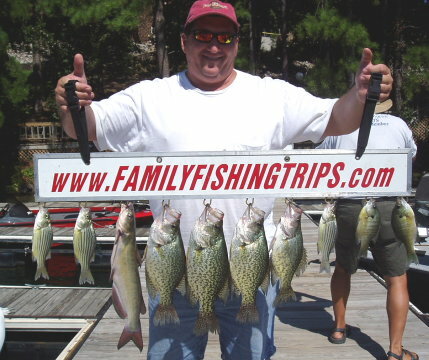 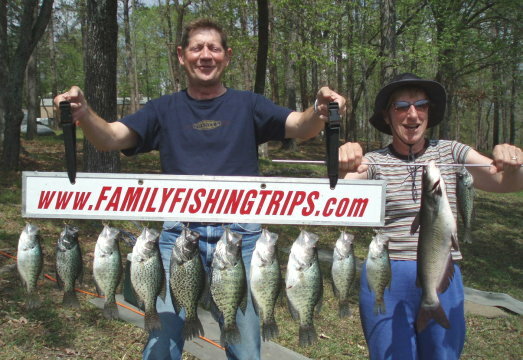 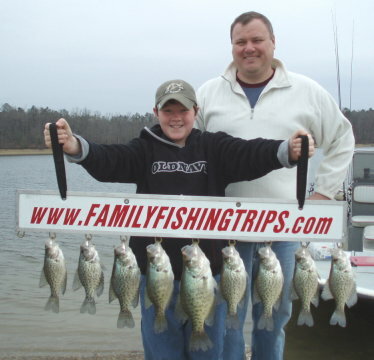 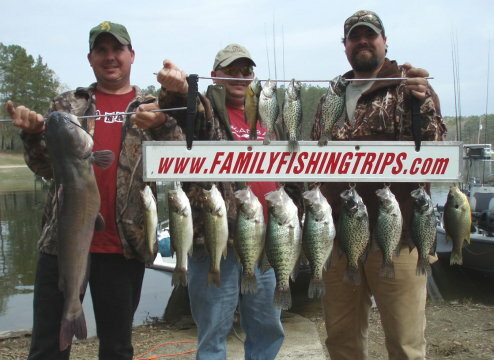 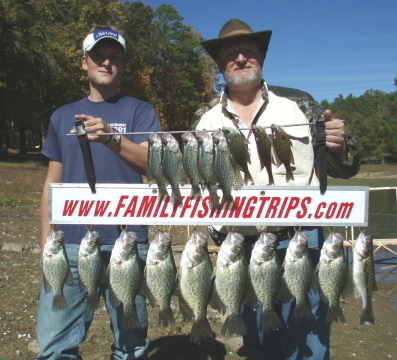 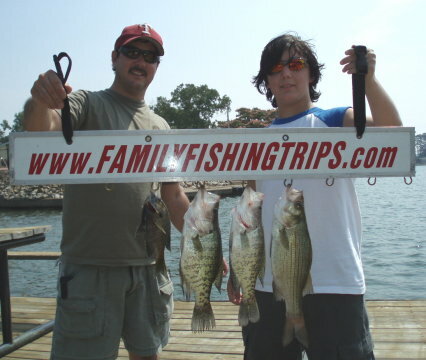 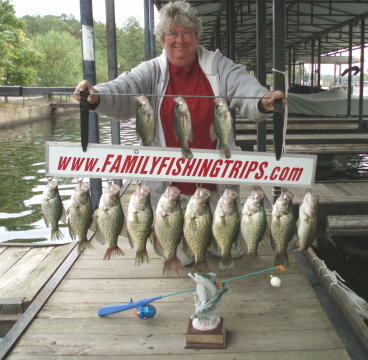 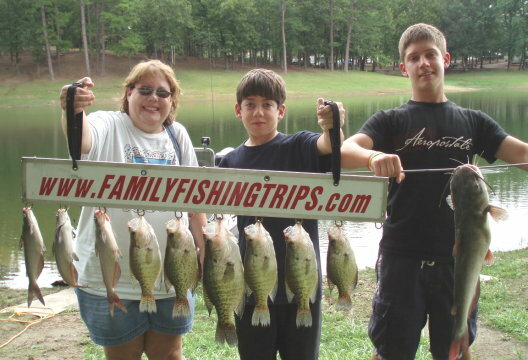 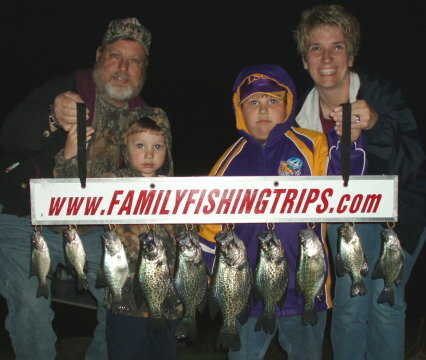 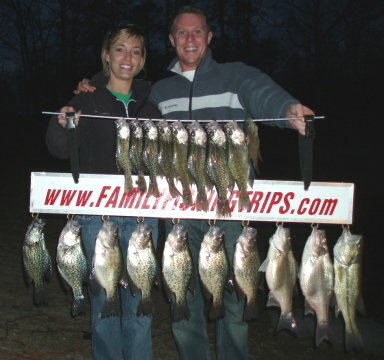 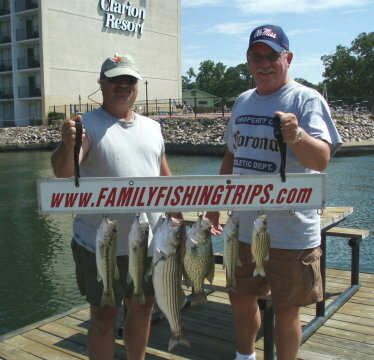 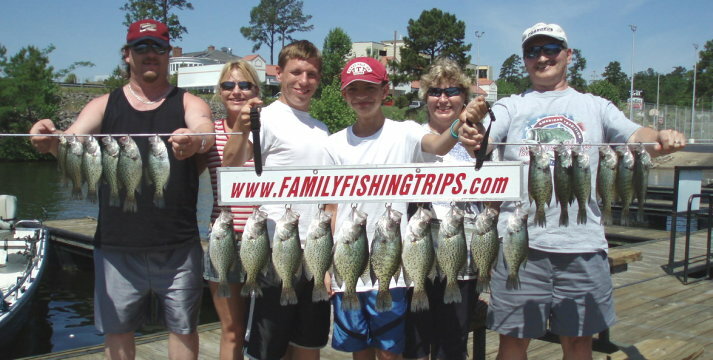 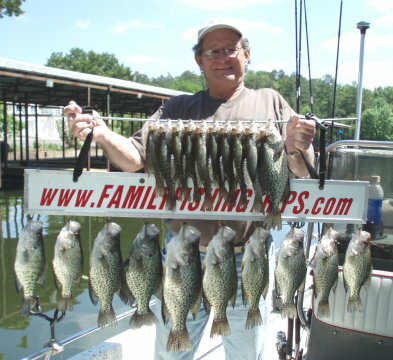 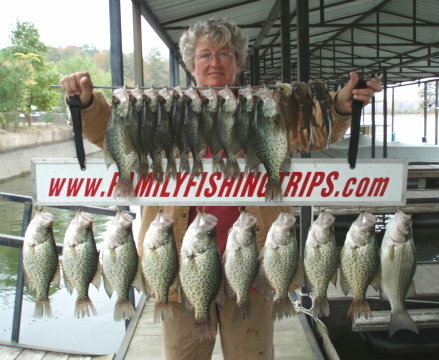 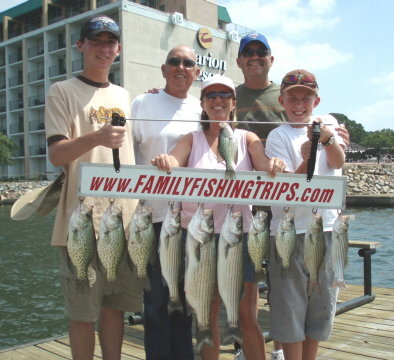 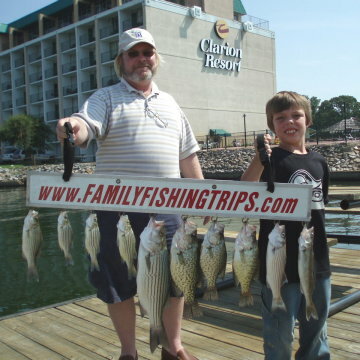 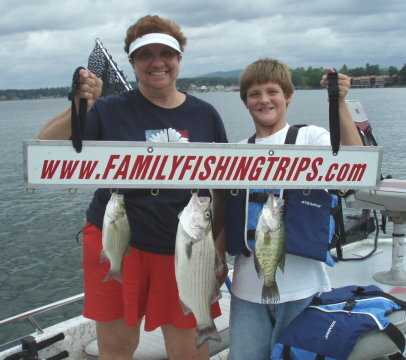 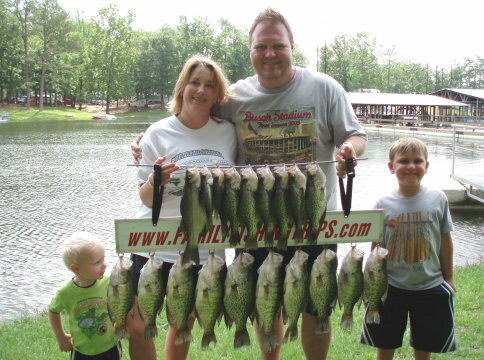 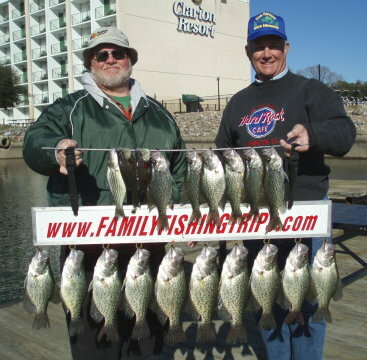 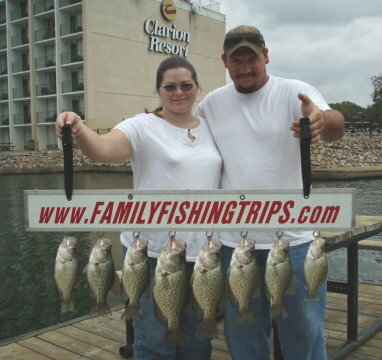 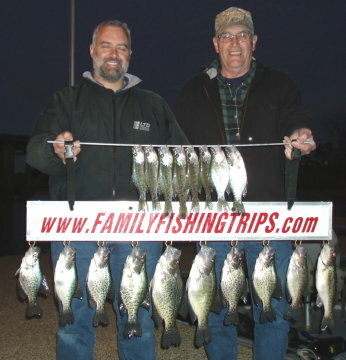 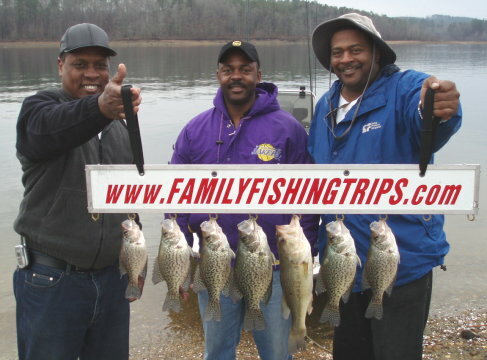 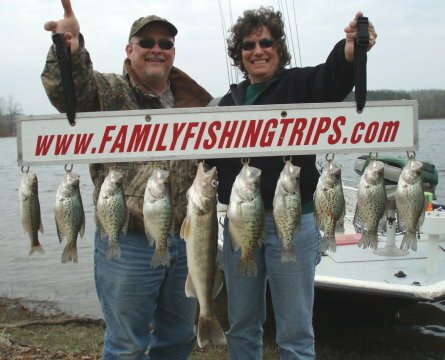 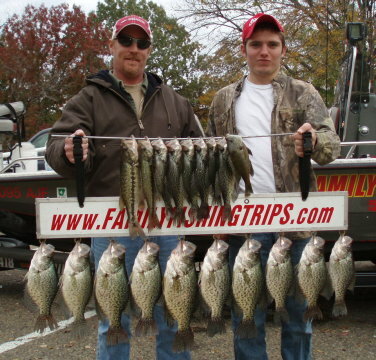 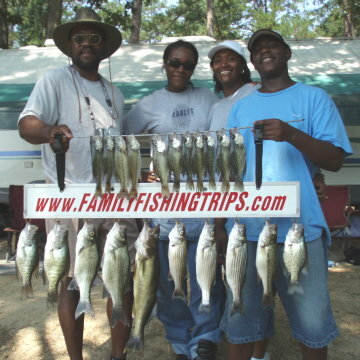 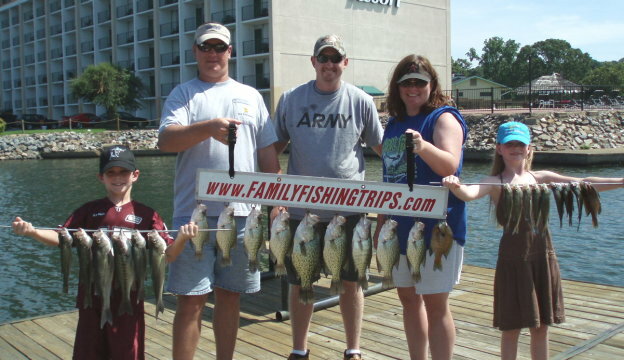 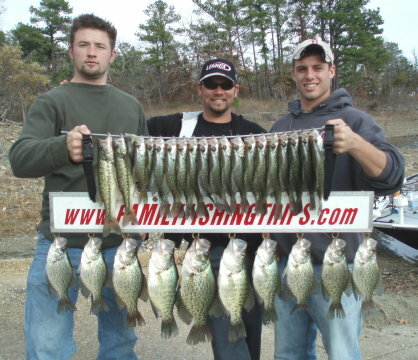 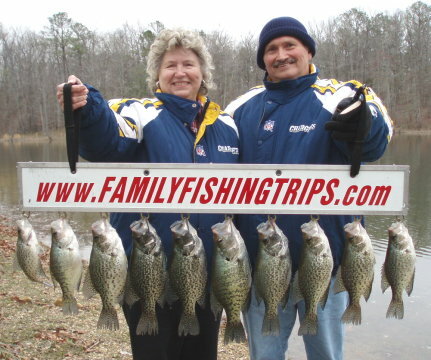 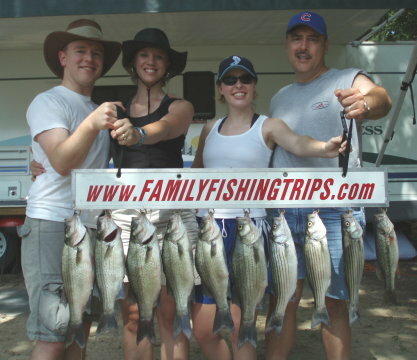 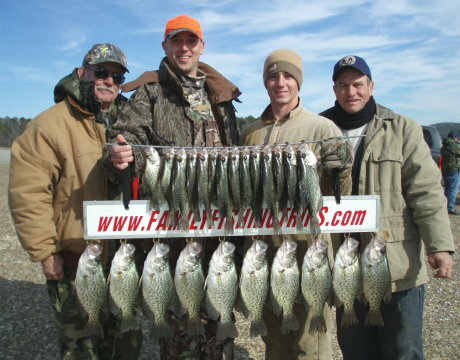 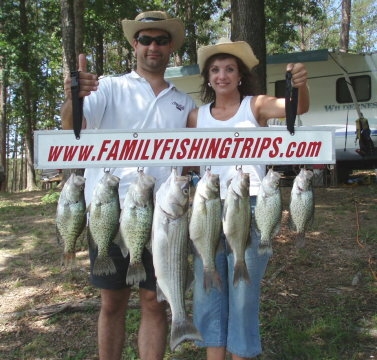 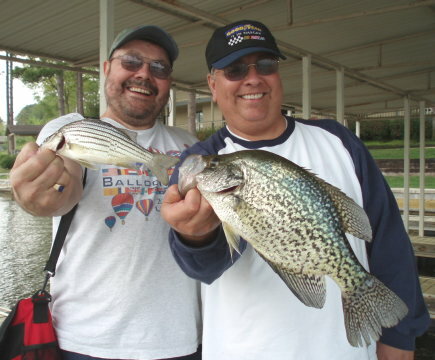 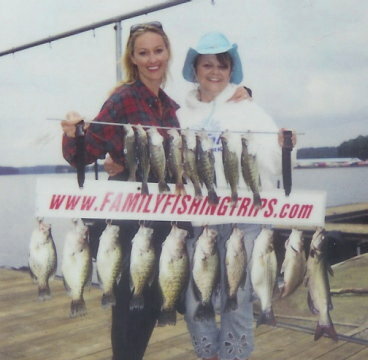 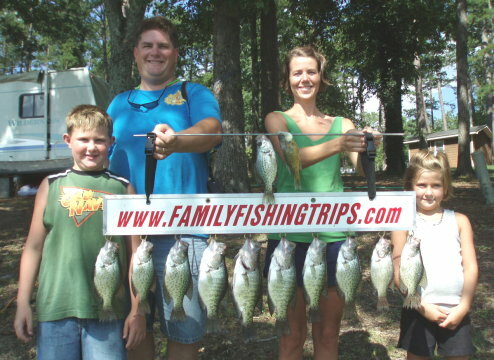 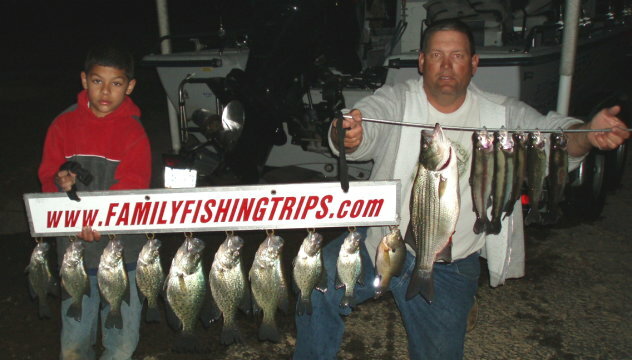 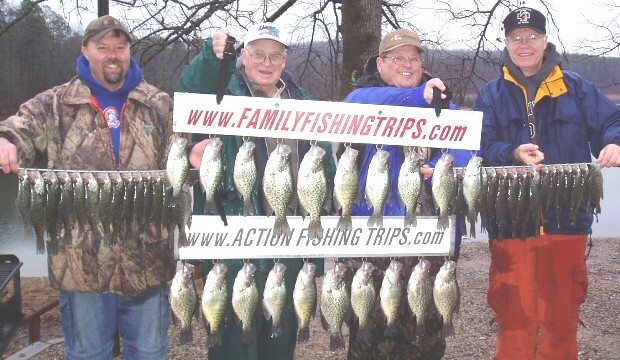 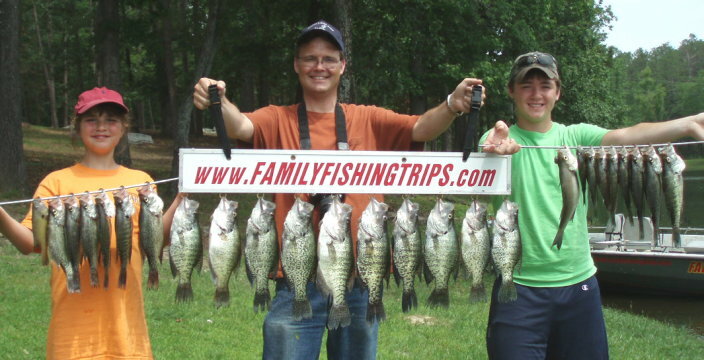 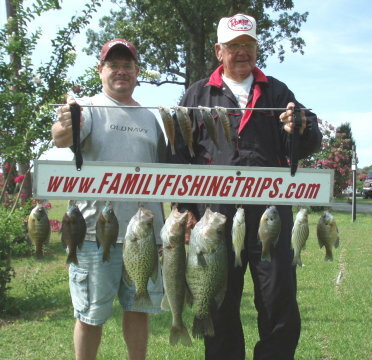 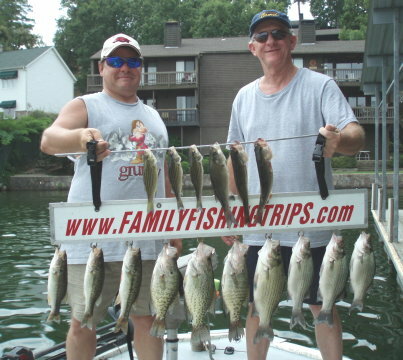 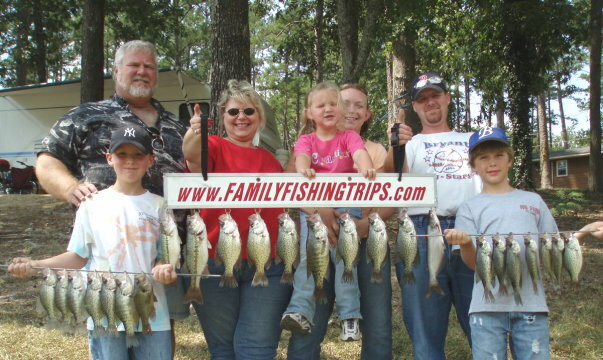 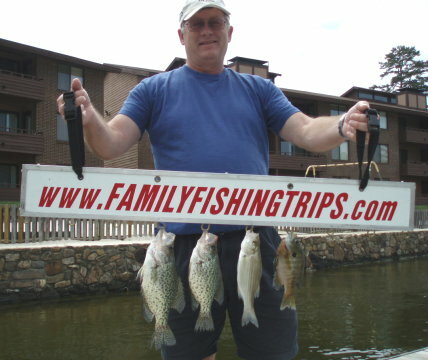 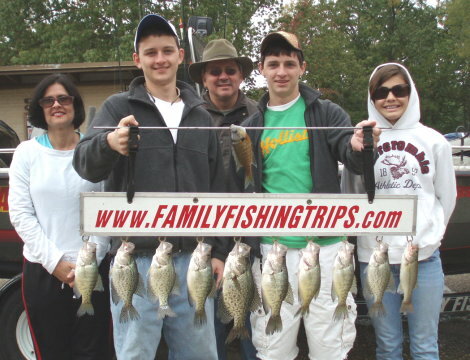 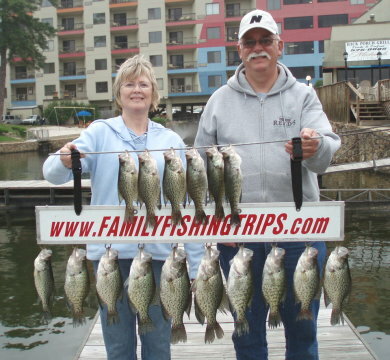 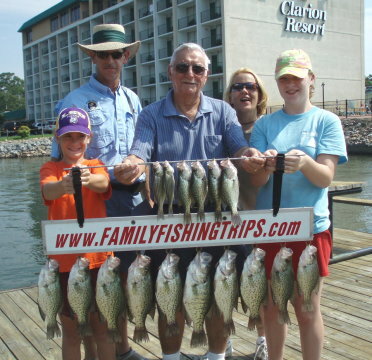 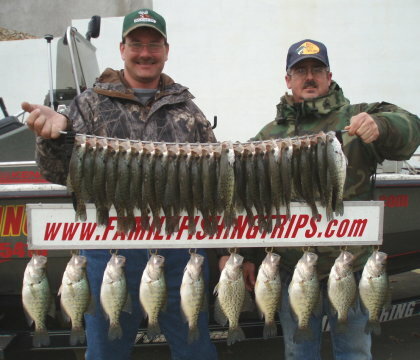 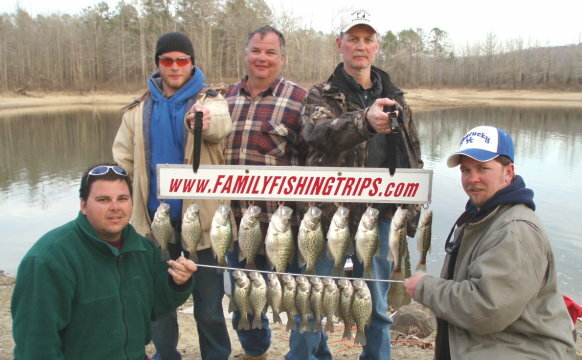 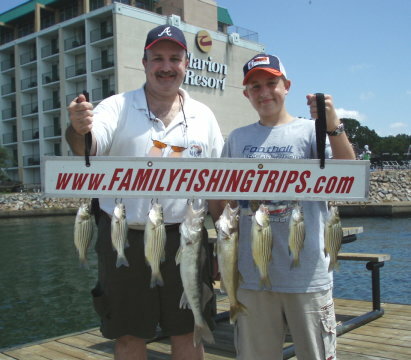 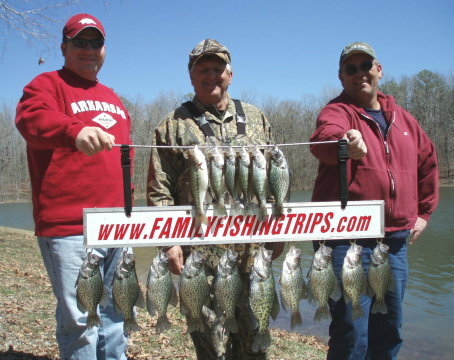 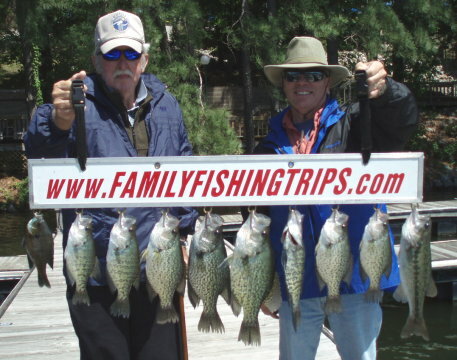 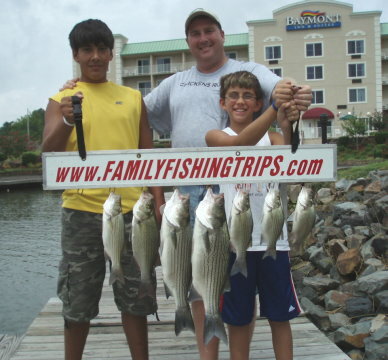 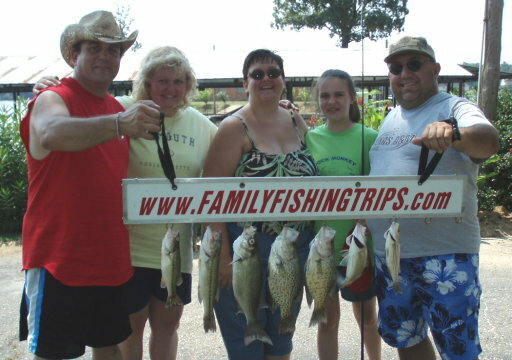 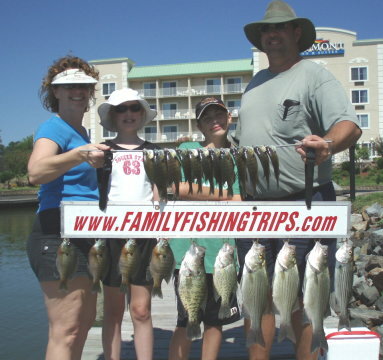 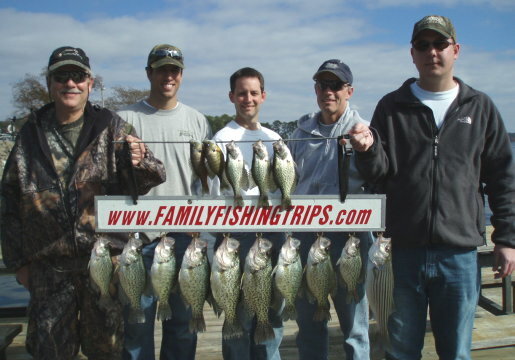 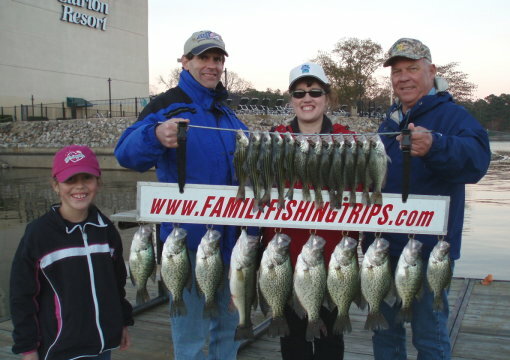 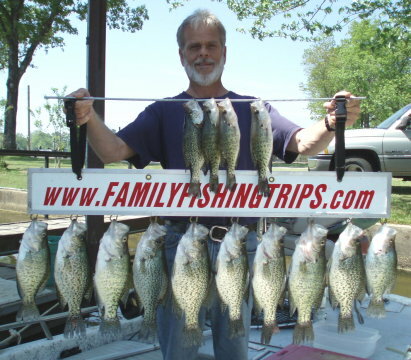 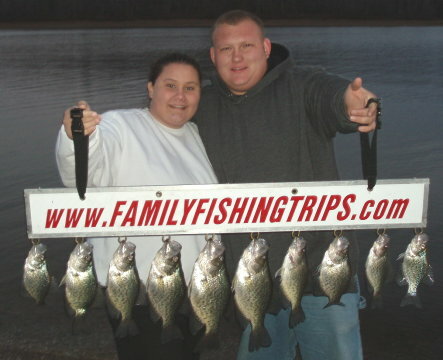 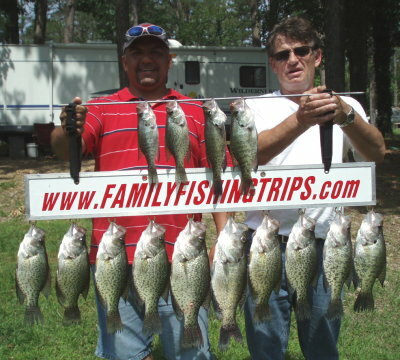 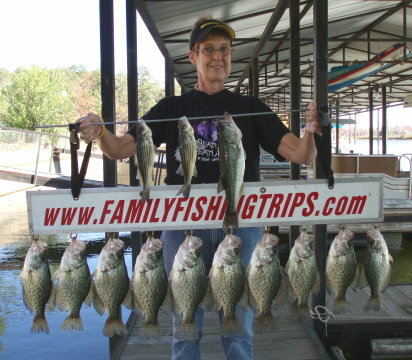 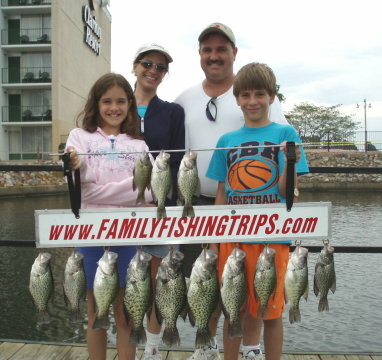 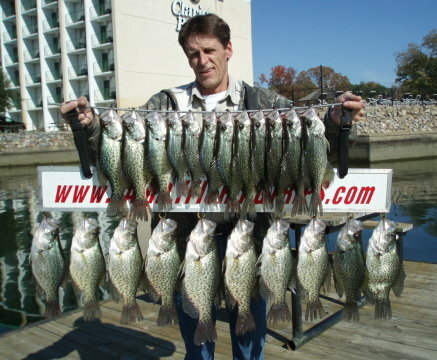 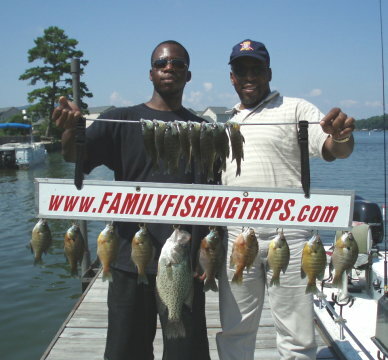 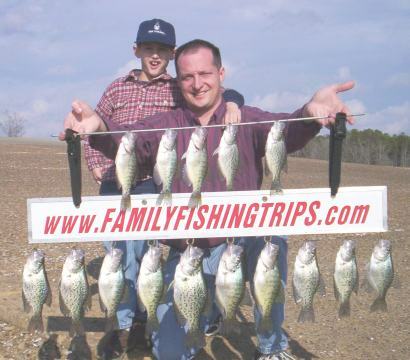 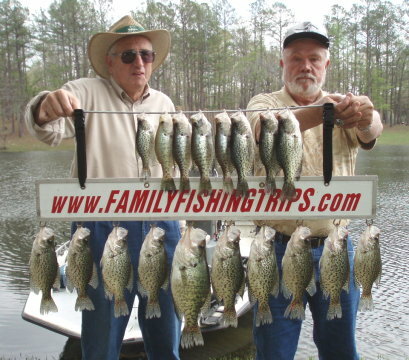 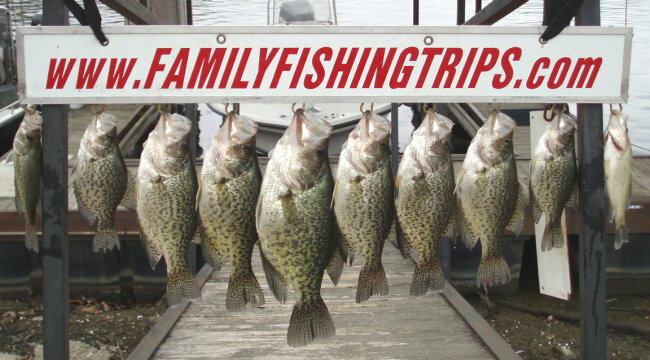 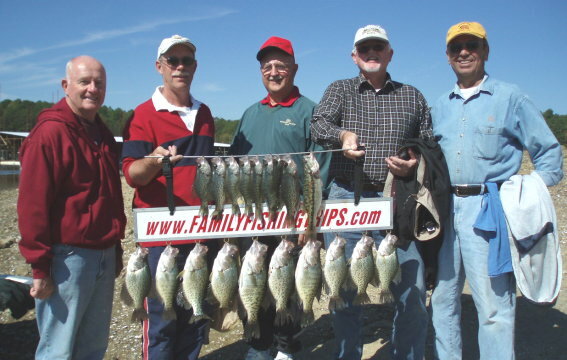 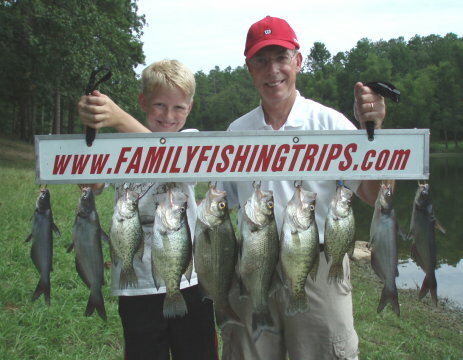 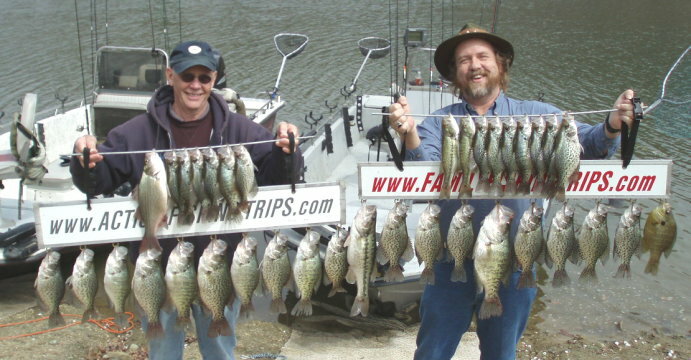 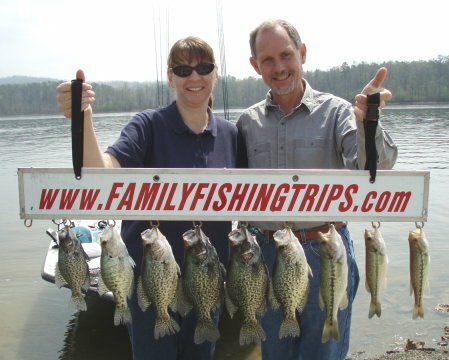 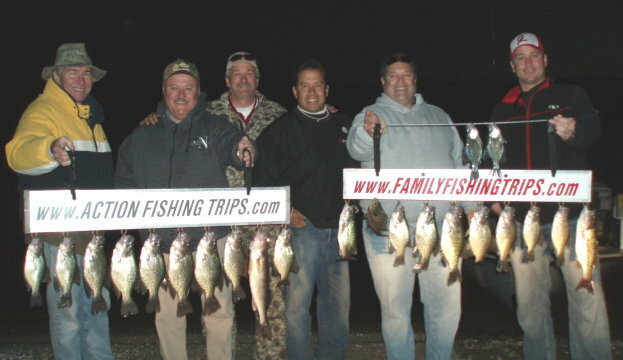 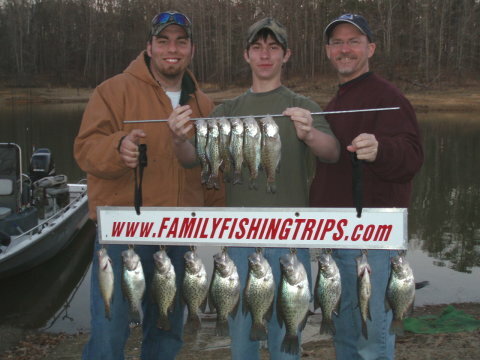 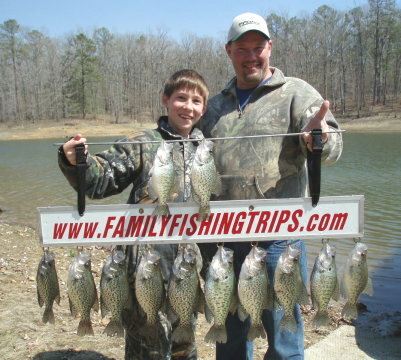 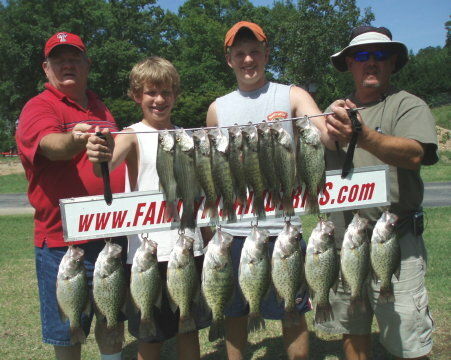 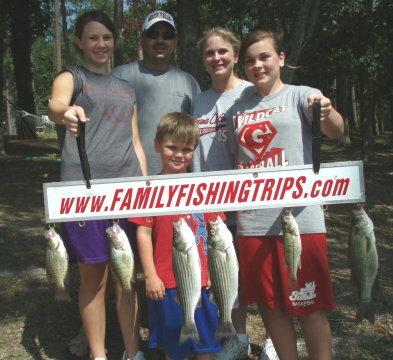 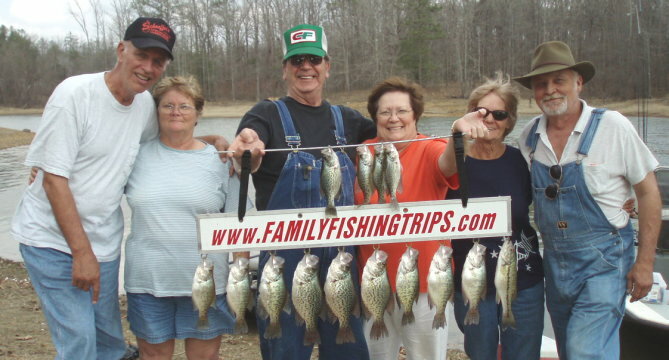 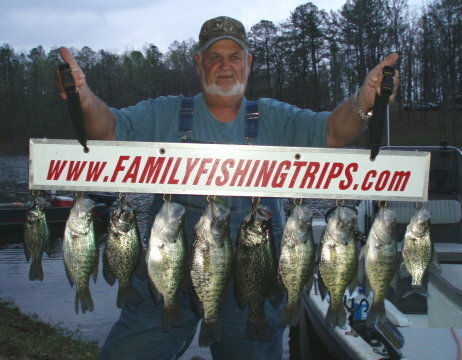 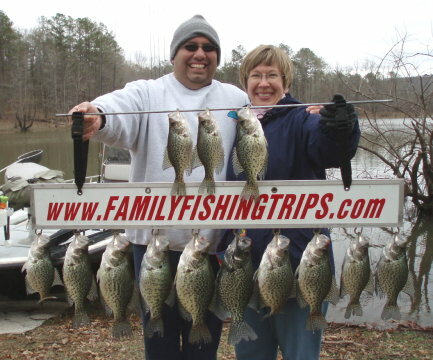 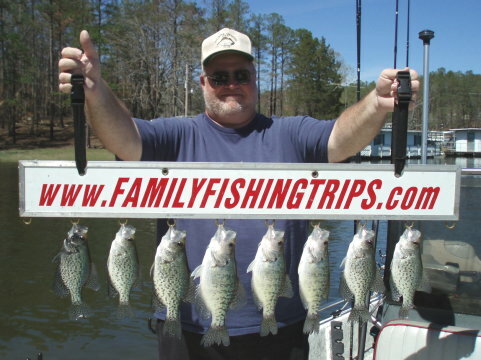 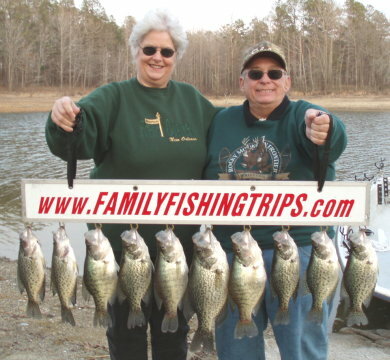 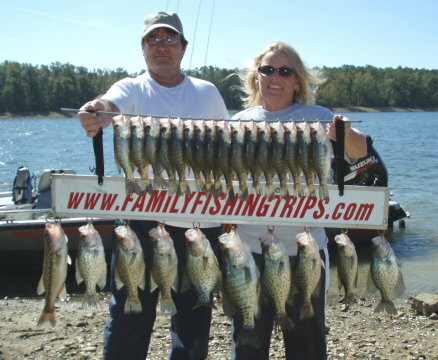 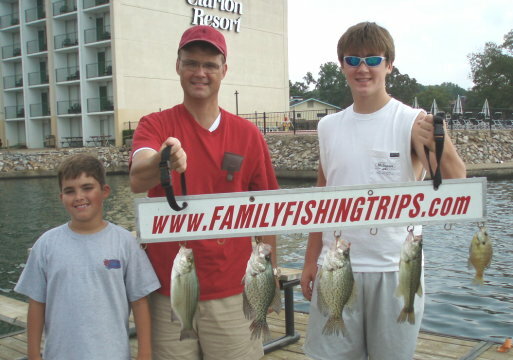 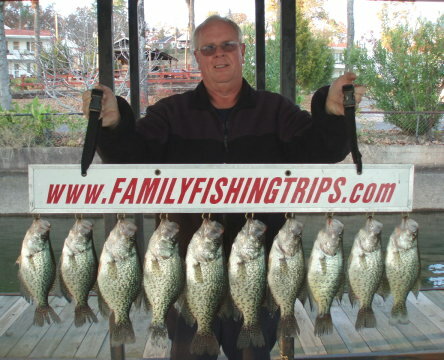 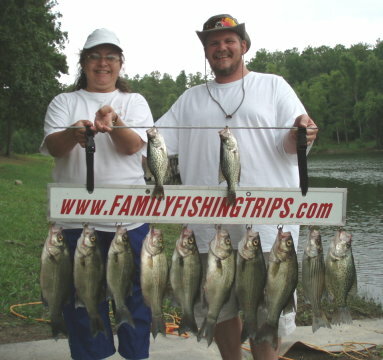 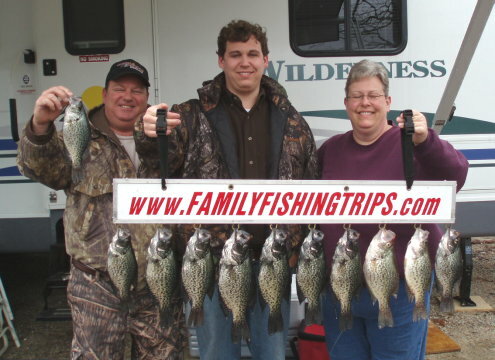 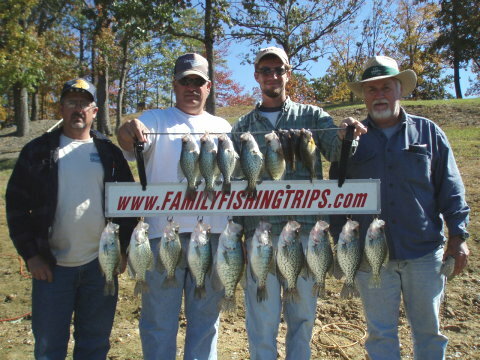 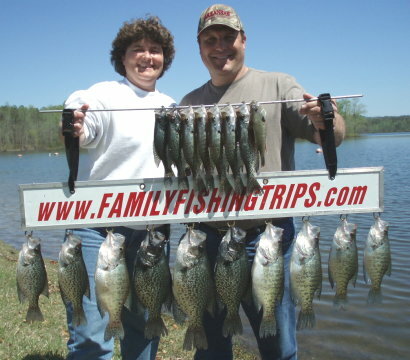 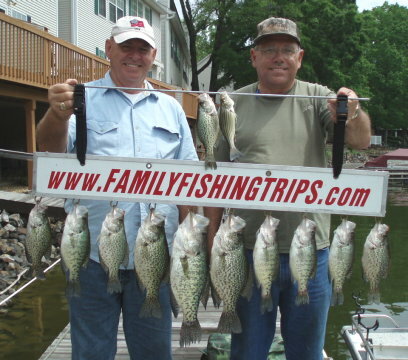 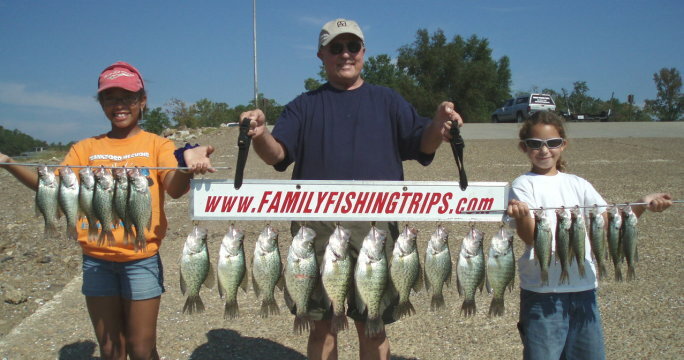 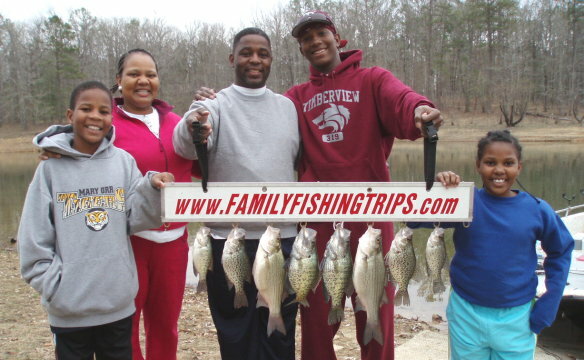 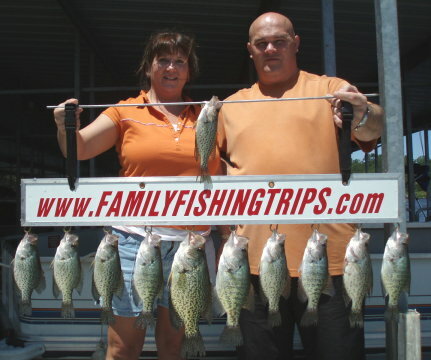 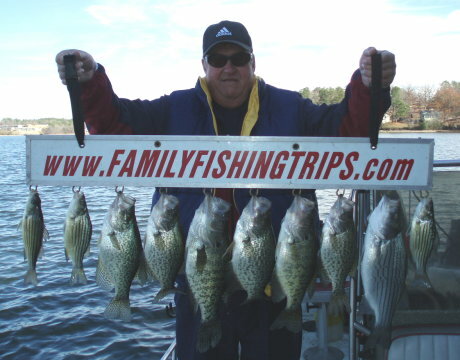 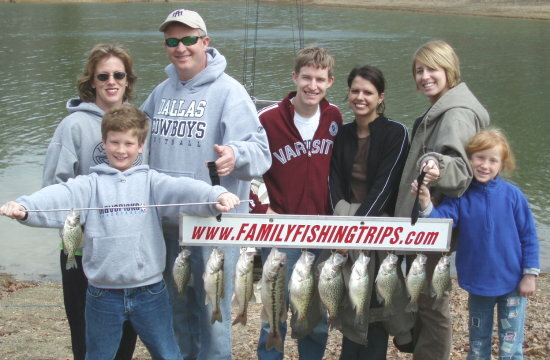 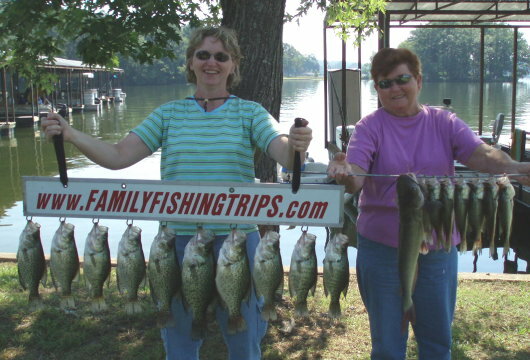 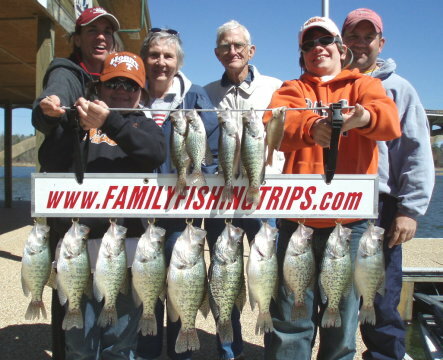 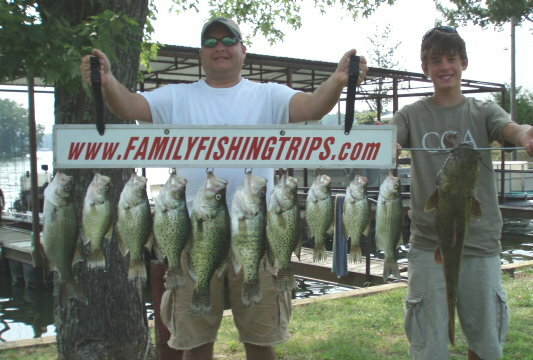 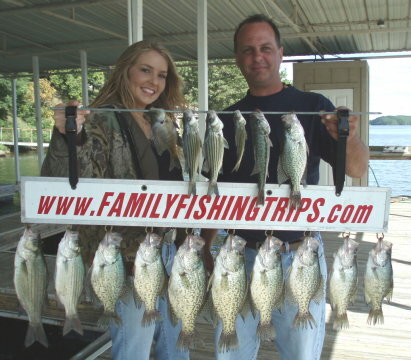 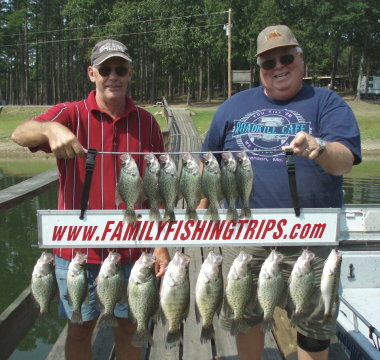 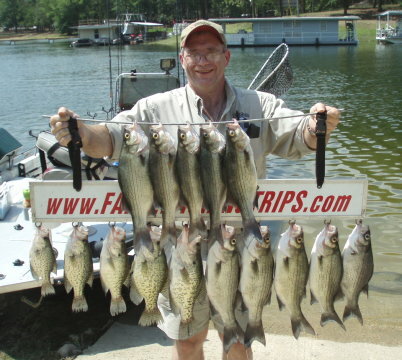 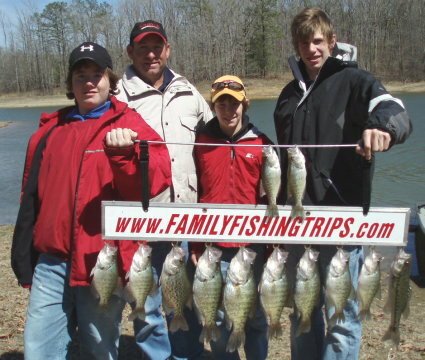 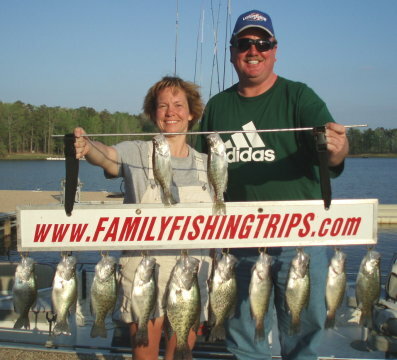 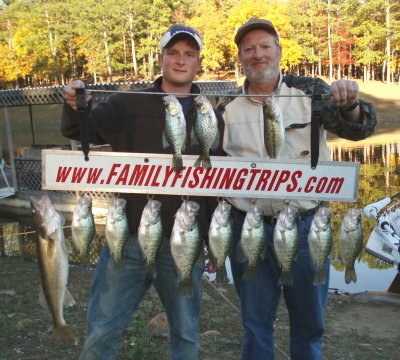 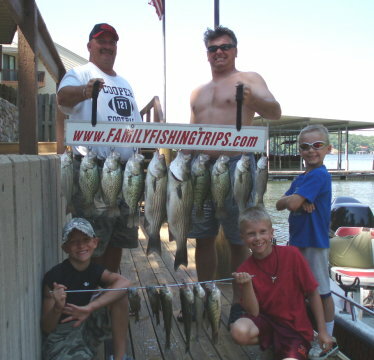 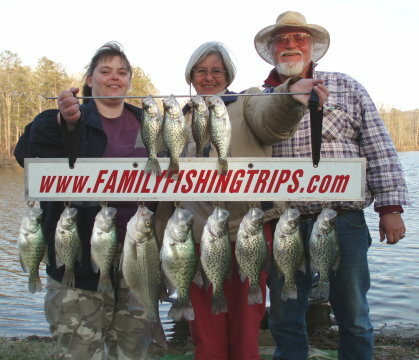 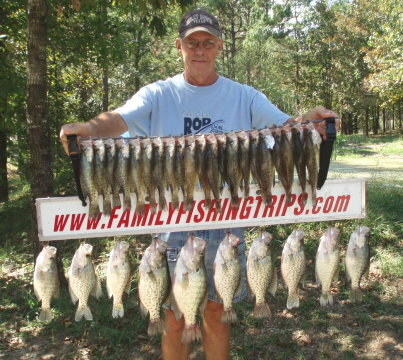 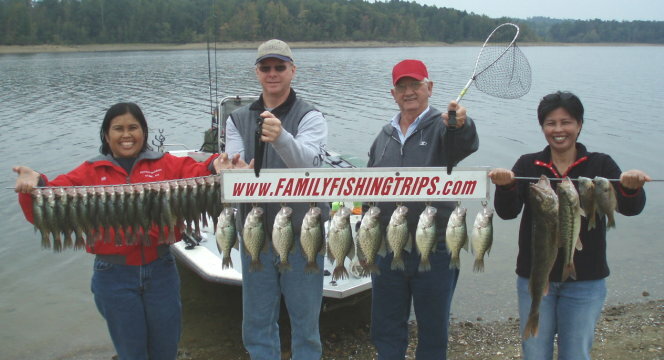 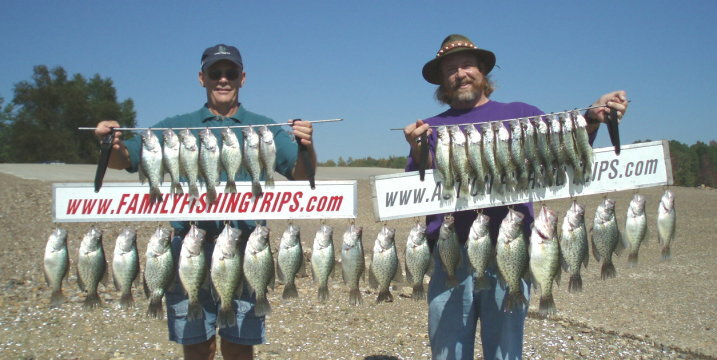 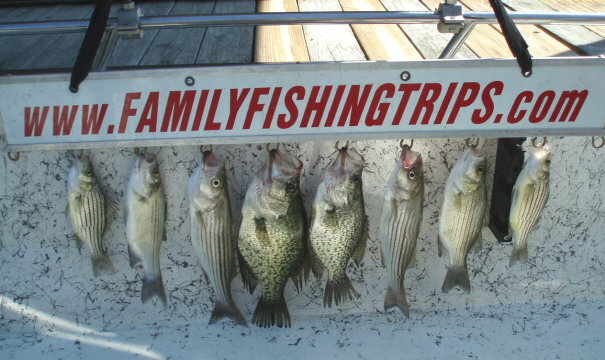 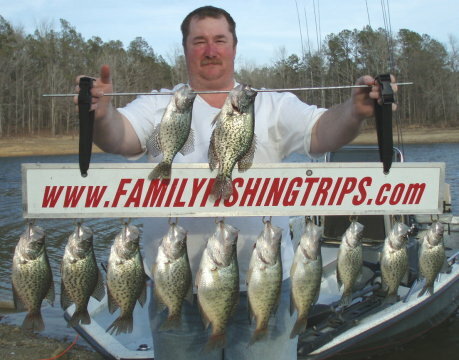 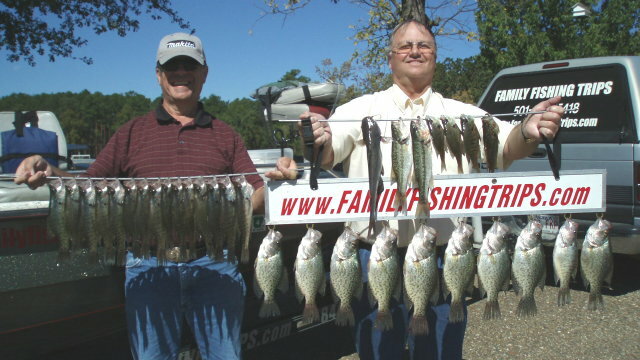 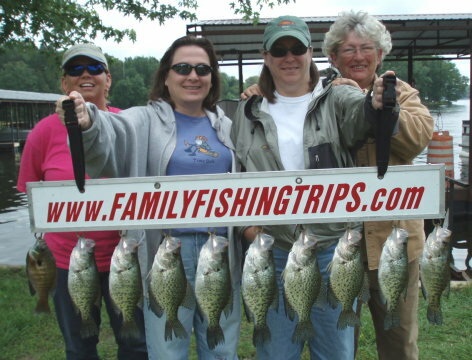 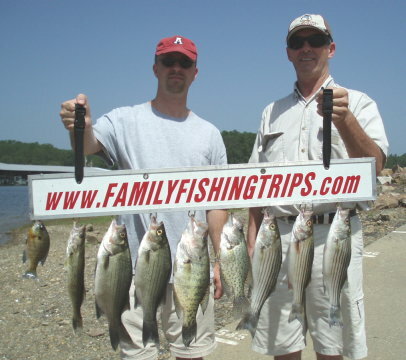 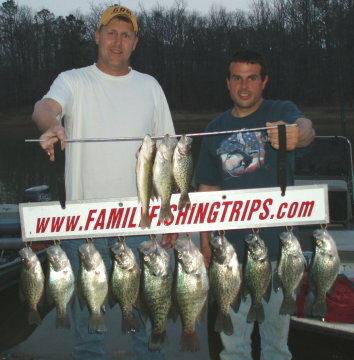 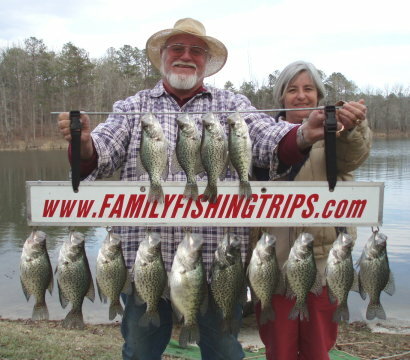 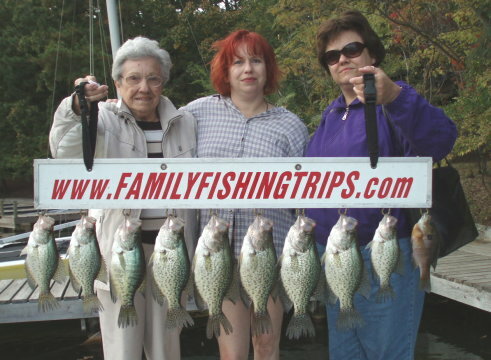 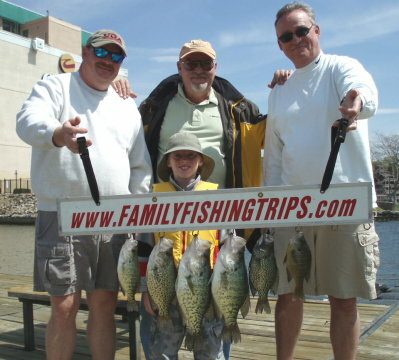 Black and White Crappie up to 14.5"
Combo trip with Action Fishing Trips featuring Jim Erickson and Keith Sutton. 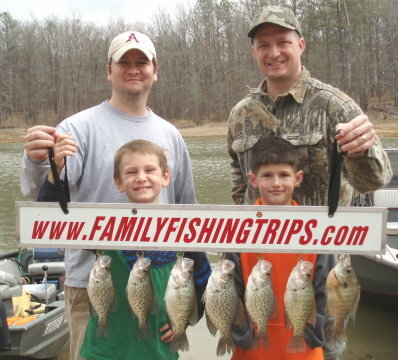 "Oops sorry, it's 'sacalait' not 'crappie' to these boys." 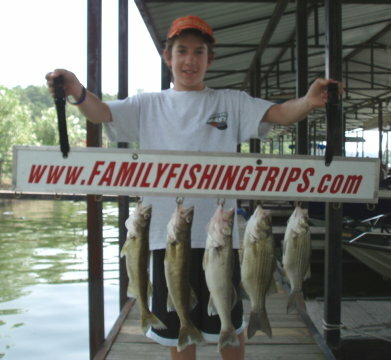 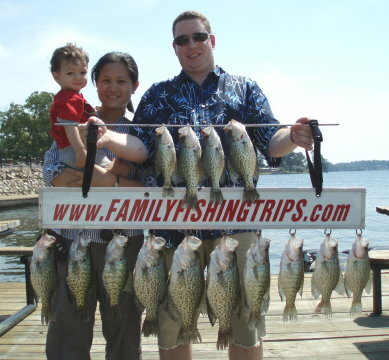 "Just a little late morning Lake Hamilton scouting with my wife and younger son." 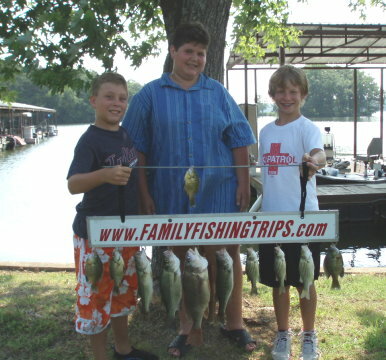 "Check out the fish'in shirts on the boys, look'in good!!!" 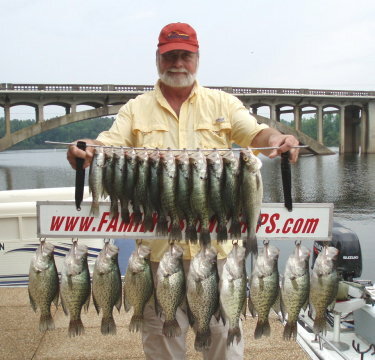 The longest crappie ever caught from my boat. 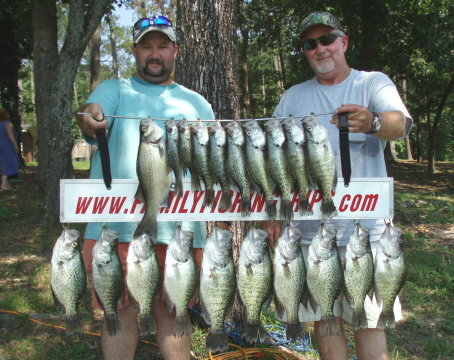 Didn't anyone tell you, you can't catch crappie like that in the middle of the summer. 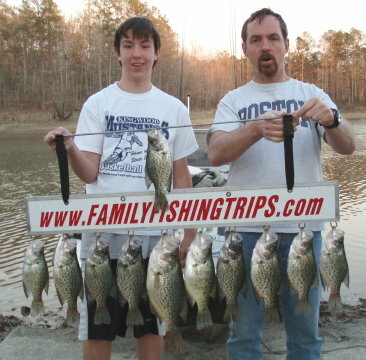 Way to go Mark. 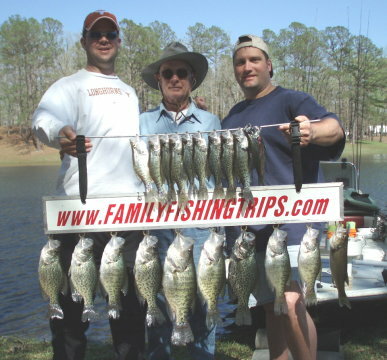 Wow, that slab's going on the wall!!! 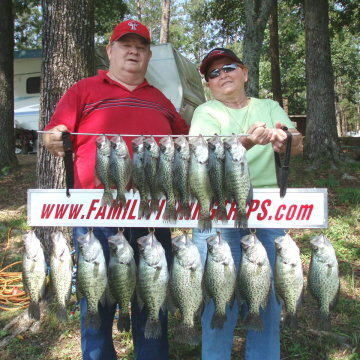 Another picture can be viewed on the Wallhangers page. 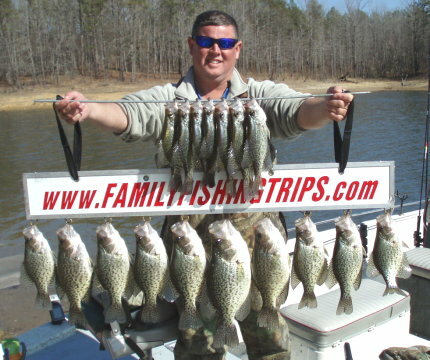 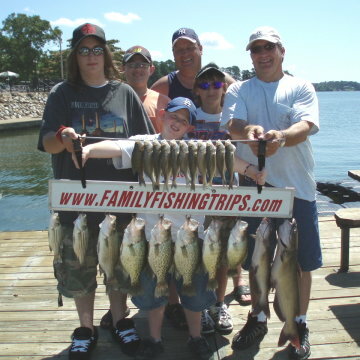 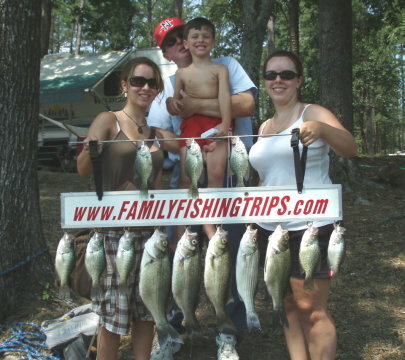 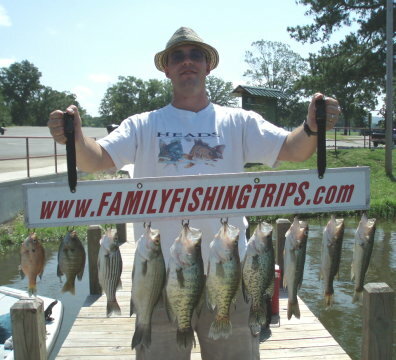 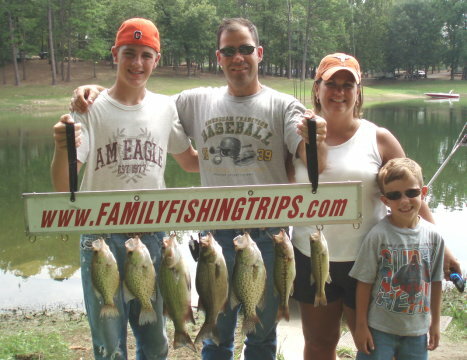 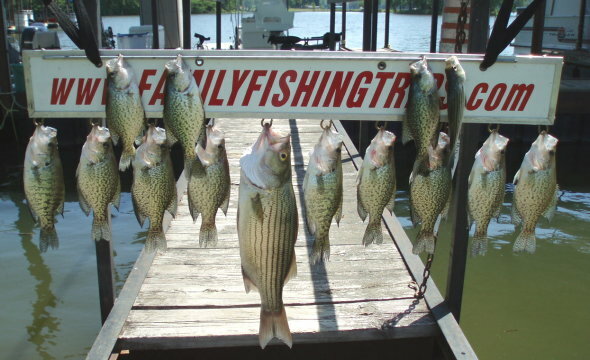 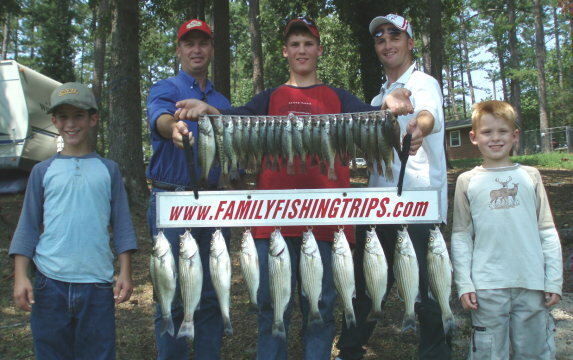 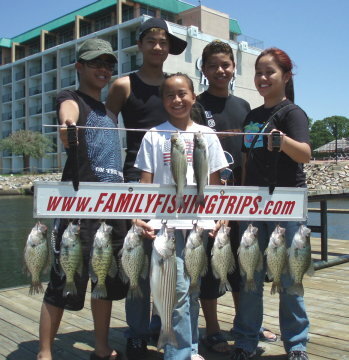 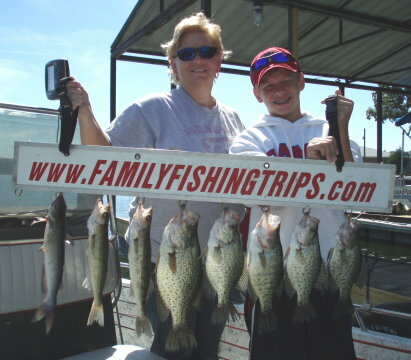 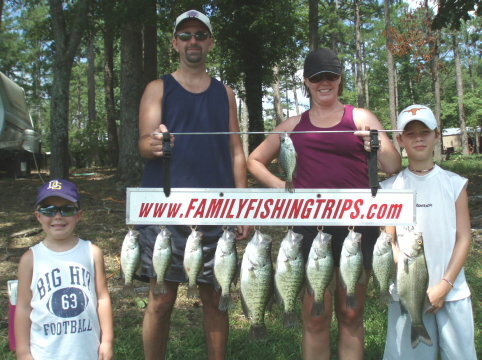 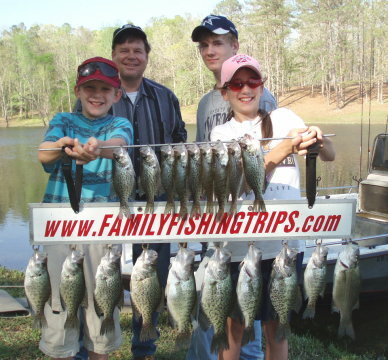 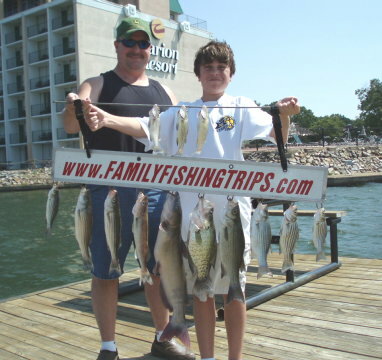 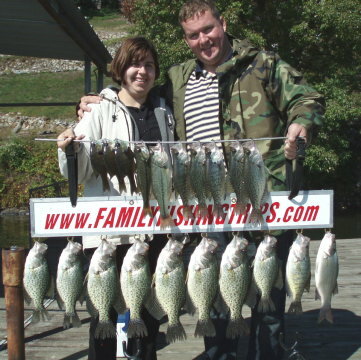 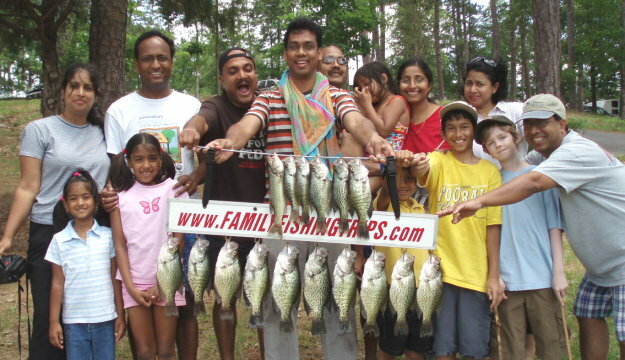 Black and White Crappie up to 13"
Black and White Crappie up to 15.25"
Black and White Crappie up to 13.5"
Black and White Crappie up to 16" - 1lb.15oz. 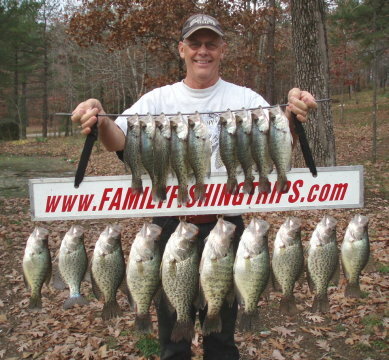 and 2lbs.3oz. 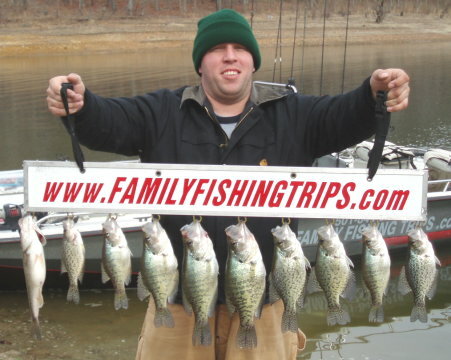 Black and White Crappie up to 16.25" / 2.5lbs. 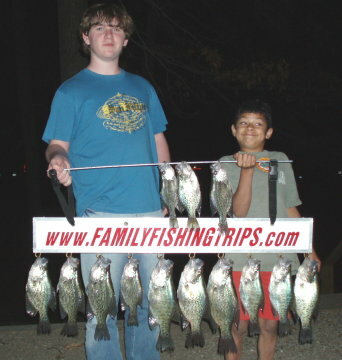 Crappie up to 16.5" / 2.75 lbs.